The meeting to discuss proposed bike lanes on Sherwood Hall Lane is tomorrow, Wed., March 12. Cyclists are encouraged to attend the meeting and to learn more about the project and to support the inclusion of bike facilities in the plan. There is opposition to the plan so your support is important. 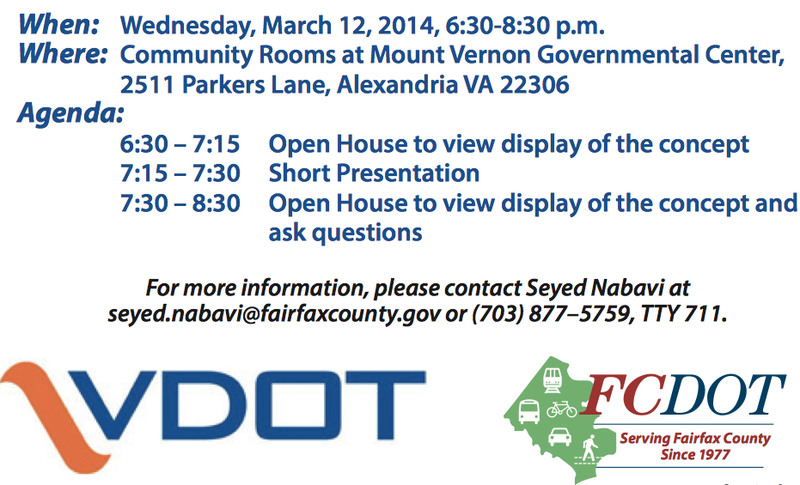 The meeting is from 6:30-8:30 p.m. at Mount Vernon Governmental Center, 2511 Parkers Lane, Alexandria, VA 22306.